Thai massage is a sacred dance, a yoga for 2 people. Traditionally practiced in Buddhist monasteries, Thai massage is regarded above all as a spiritual practice, a meditation in movement. The masseur practices in a meditative state and develops his sensitivity and Heart qualities (Metta – Loving kindness and Karuna – Compassion) to tune in to the patient’s needs.. 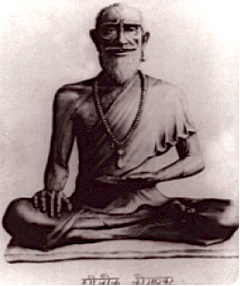 Doctor Jivaka Kumar Bhaccha is considered the founder of Thai massage. He was a famous physician and surgeon in Northern India over 2500 years ago and a contemporary and friend of the Buddha. The migration of Buddhism towards South-East Asia brought this art into Thailand. Theoretically, Thai massage is based on the concept of energy lines, the Sen. Working the lines by acupressure and stretching can treat the whole body by opening energy, physical or emotional blockages. Thai massage is carried out on the floor, without using oil. The patient wears light, comfortable clothing.